Utilities fraud: Thieves may open new accounts or run up charges on existing phone, electricity, heating, cable, and other utility accounts. Finance fraud: A financial thief may open bank accounts or get new credit card/loans in your name. Even if they do not open new accounts, they can fraudulently withdraw money, accrue debt, or otherwise abuse these accounts. Government documents fraud: This is when someone other than you gets a driver’s license or another official ID in your name, steals our government benefits, or files a tax return in your name. Criminal fraud: When someone commits a crime while assuming your identity, this is criminal fraud, which can be devastating. Stopping the thief by alerting the authorities is key. Job fraud: This is when a thief uses someone else’s Social Security number and credit history to get a job. Other fraud: There are many other things a criminal can do with someone’s identity, including renting a home or get medical services. The sky is the limit. Skimming: Stealing credit or debit card numbers using a storage device. Phishing: Using electronic communications and pretending to be the government or financial institution to get you to reveal personal information. Hacking: Hacking into email or other online accounts (such as a company’s database) to retrieve personal information. Stealing: Stealing your wallet or purse; a visitor or contractor who rummages through your home to find documents with your personal information. Dumpster diving: Rummaging through trash for bills and other documents with personal information. Shared documents: Shred financial and other documents that contain your personal information. Keep SS card safe: Don’t carry your Social Security card in your wallet, and only give your number when it is absolutely necessary. Shhh: Don’t give out your personal information over the phone, internet, or by mail unless you are the one who made contact and you know for sure you’re dealing with the right company/person. Say no! to junk email: Don’t ever click on links in unsolicited emails. Use strong passwords: Don’t use common passwords or those that are easy to figure out, like your mother’s maiden name, birthdate, mobile number, etc. Trust is earned: Secure your personal information especially if you have a roommate, visitors, or are employing outside help in your home. Check credit reports: Review your credit reports. You can request one for free annual report from the three national credit bureaus. Review financial statements: Regularly review all your financial statements, including credit card statements, other billing statements, bank statements, and other to look for changes you did not make. Yes, yes have a checking account report: You can also request a free ChexSystems report to see if checking accounts have been opened in your name. Most banks use ChexSystems. Copy your credit cards: Copy the front and back of all your credit cards, so you have the necessary contact information immediately if they are ever stolen. Are identity theft programs for you? There are several identity theft prevention services out there, most with a monthly or yearly fee. Some services they offer, such as free credit reports and fraud alerts, you can do yourself. Their primary advantage is insurance that will cover the monetary loss if your identity is stolen. Place fraud alert on your credit reports with the credit bureaus, and review your credit reports (and checking report if necessary) ASAP. If you are a victim, or have a nagging suspicion, you can also contact the entity that issued you your personal ID or sold you services (such as the Social Security Administration or utility company, for example). 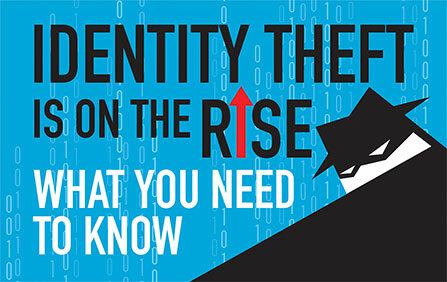 For more detailed information on what to do if your identity is stolen, visit the FTC’s website and read Taking Charge: What to do if your identity is stolen for detailed information on various types of identity theft situations.